3 555,00 € tax excl. instead of 3 950,00 € tax excl. 2 411,10 € tax excl. instead of 2 679,00 € tax excl. 3 879,00 € tax excl. instead of 4 310,00 € tax excl. 8 077,50 € tax excl. instead of 8 975,00 € tax excl. 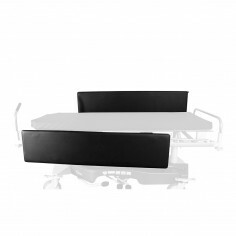 2 085,30 € tax excl. instead of 2 991,00 € tax excl. 1 598,40 € tax excl. instead of 1 776,00 € tax excl. 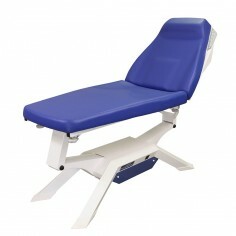 The stability and functionality of hydraulic or electric massage tables are essential for efficient, comfortable and safe work. 1 976,40 € tax excl. instead of 2 196,00 € tax excl. 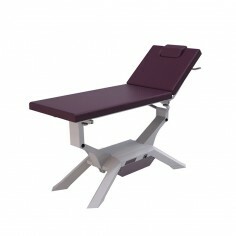 Examination table SL to examine and treat a patient also in half-seated position. 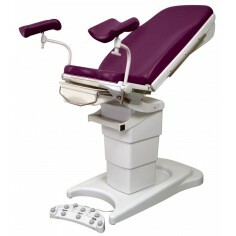 The Table massage S exclusive is a all equiped 2-section table. 2 577,60 € tax excl. instead of 2 864,00 € tax excl. 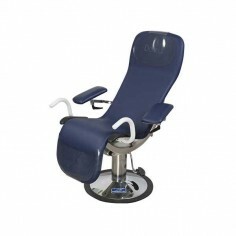 The hydraulic or electric Therapy Table S, 3-section table, has an adjustable headrest and a leg rest that allows the sitting position. 2 364,30 € tax excl. instead of 2 627,00 € tax excl. 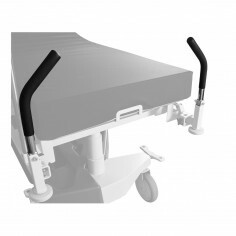 The S Plus Therapy Table provides access to many positions: sitting, semi-sitting and kyphosis position for more effective work on certain pathologies. 2 646,90 € tax excl. instead of 2 941,00 € tax excl. 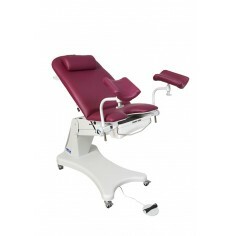 The S3 Therapy Table is made of 3 sections and with a large backrest. 2 906,10 € tax excl. instead of 3 229,00 € tax excl. 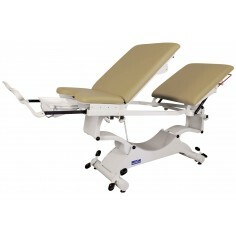 The S4 Therapy Table is composed of four planes. 3 343,50 € tax excl. instead of 3 715,00 € tax excl. 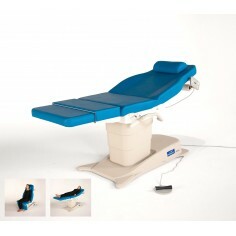 Bobath S stable table for rehabilitation. 2 322,90 € tax excl. instead of 2 581,00 € tax excl. 7 066,80 € tax excl. instead of 7 852,00 € tax excl. 4 566,60 € tax excl. instead of 5 074,00 € tax excl. 3 321,90 € tax excl. instead of 3 691,00 € tax excl. 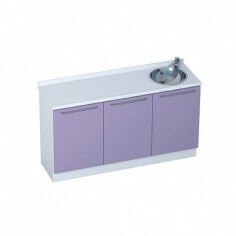 3 single modules with cupboard, laminated wood worktop. 2 143,80 € tax excl. instead of 2 382,00 € tax excl. 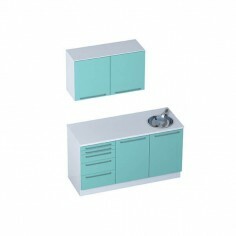 3 modules, 2 with a cupboard and 1 with 5 drawers, laminated wood worktop. 2 382,30 € tax excl. instead of 2 647,00 € tax excl. 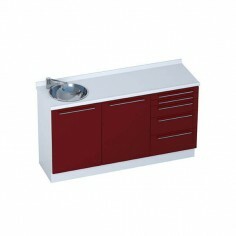 Available with left or right-hand stainless steel sink. 3 230,10 € tax excl. instead of 3 589,00 € tax excl. 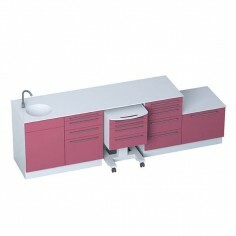 4 modules, 2 with a cupboard, 1 module with 4 drawers on wheels, 1 module with 5 drawers, laminated wood worktop. 3 402,00 € tax excl. instead of 3 780,00 € tax excl. 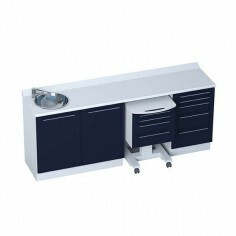 4 modules, 1 module with a knee-operated cupboard, 1 module with cupboard, 1 module with 4 drawers on wheels, 1 module with 5 drawers, infrared operated tap, laminated wood worktop. 3 554,10 € tax excl. instead of 3 949,00 € tax excl. 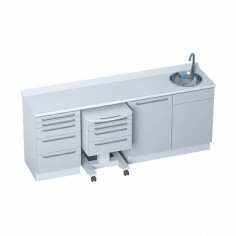 4 modules, 1 module with a knee-operated cupboard, 1 module with 4 drawers, 1 module with 5 drawers, 1 module with 4 drawers on wheels, Hi- Macs worktop (fixed with supplied silicone seal), infrared operated tap. 4 487,40 € tax excl. instead of 4 986,00 € tax excl. 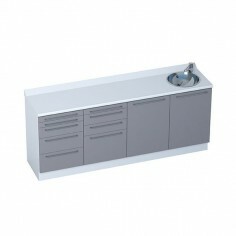 3 modules, 2 with a cupboard and 1 with 5 drawers, laminated wood worktop. 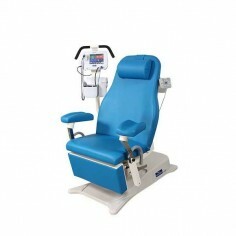 Version with a sterilisation module. 2 871,00 € tax excl. instead of 3 190,00 € tax excl. 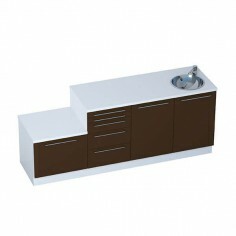 3 modules, 2 with a cupboard and 1 with 5 drawers, laminated wood worktop. 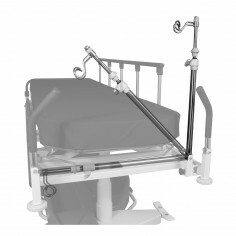 Version with a sterilisation module. Version with 2-door wall units. 2 882,70 € tax excl. 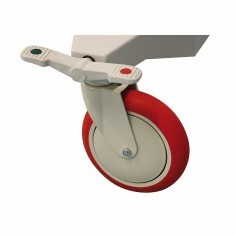 instead of 3 203,00 € tax excl. 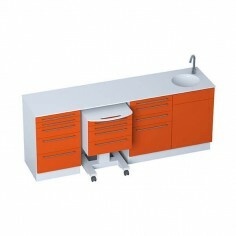 4 modules, 1 module with a knee-operated cupboard, 1 module with 4 drawers, 1 module with 5 drawers, 1 module with 4 drawers on wheels, Hi- Macs worktop (fixed with supplied silicone seal), infrared operated tap. 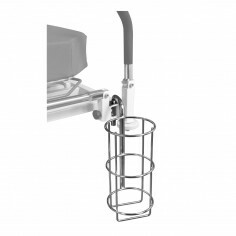 Version with a sterilisation module. 5 466,60 € tax excl. instead of 6 074,00 € tax excl. 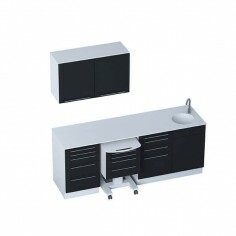 4 modules, 1 module with a knee-operated cupboard, 1 module with 4 drawers, 1 module with 5 drawers, 1 module with 4 drawers on wheels, Hi- Macs worktop (fixed with supplied silicone seal), infrared operated tap. 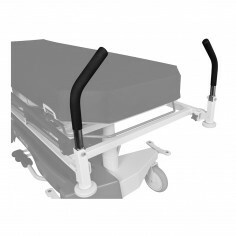 Version with a sterilisation module. Version with 2-door wall units. 5 225,40 € tax excl. instead of 5 806,00 € tax excl.